If you work in midtown anywhere near Rock Center, you know that the Radio City Christmas Spectacular draws a crowd. The Christmas Spectacular Show Schedule amps up the closer we draw to Christmas. 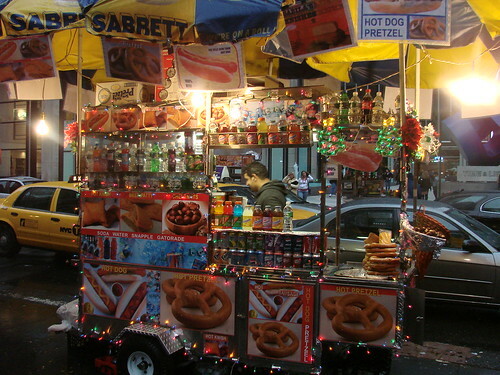 Fridays are particularly bad, so if you want to stretch your legs at lunchtime I suggest sticking to the west side of Sixth Avenue and/or avoiding Sixth Ave all together from 47th Street to 52nd Street. Might be a good time to start brown bagging it or setting up an account with Seamless Web so the food comes to you. 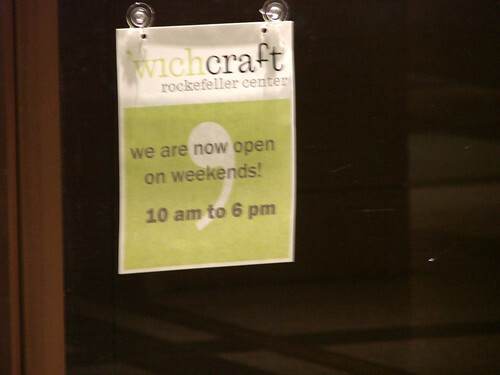 And for you tourists planning on making a Rock Center visit: 'wichcraft in the Rock Center concourse is now open on the weekends. 'wichcraft isn't cheap, but they are a cut above the other concourse offerings and their tables with the "read-while-you-wait" food magazines provide a nice respite from the crowds. 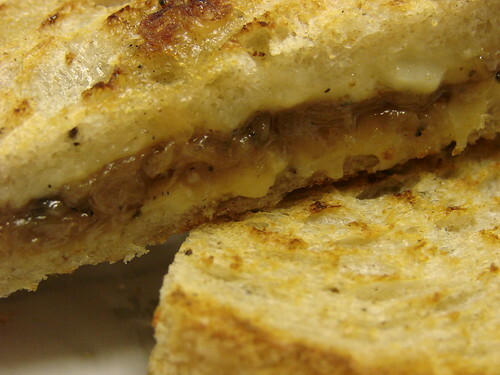 Plus, how could you resist a Grilled Gruyere with Carmelized Onions? You can't. You just can't. Don't forget about the elves on the Brooklyn Bridge!! I love this time of year.